It was great — if unexpected — news to hear that Gov. Paul LePage doesn’t believe that now, with the tight state budget and so many Maine people needing help, is the time for corporate welfare. Now then would be a good time for the governor, or legislative leaders, to begin a review of the $6 billion in tax breaks and reductions the state gives, many of them to businesses, every two years. The objective shouldn’t be to abolish them all, but rather to find out what incentives truly work and to focus the state’s efforts on these. 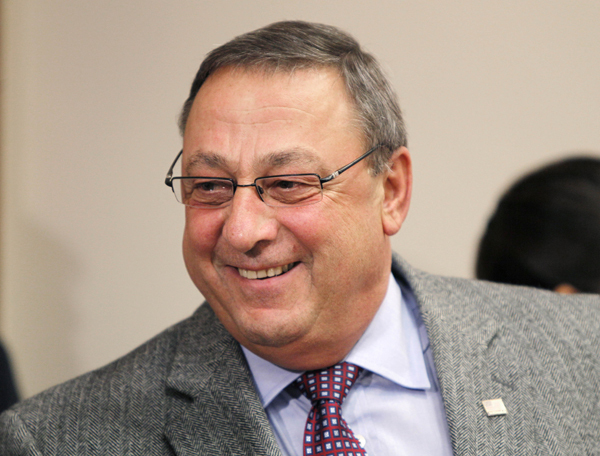 “In good conscience, you cannot ask a governor to go cut welfare on individuals and then keep corporate welfare on the books,” he said Friday during a town hall meeting in Newcastle when asked why he eliminated the public broadcasting money. The governor initially ended public funding for gubernatorial candidates as part of his budget revisions. After the change package was presented, he put the clean election money back and zeroed out state funding for MPBN. Never mind that MPBN isn’t truly a corporation and that it has a requirement, written into state law, to ensure its programming is available statewide — no matter the cost. If the governor is serious about getting corporate welfare off the books, the state’s business tax incentives are a great place to start. A study done last year by several state agencies at the direction of the Legislature found the state spends more in tax breaks, credits and exemptions every year than it spends on programs in the state budget. Tax expenditures, as they are called, are estimated at $6.6 billion for the current two-year budget period. That is $1 billion more than state spending during that time. “Maine currently has 141 personal and corporate income and property tax reimbursement programs, and 133 sales tax and excise tax exceptions or preferences,” said then-Finance Commissioner Ellen Schneiter, a member of the study group. Some, such as the sales tax exemption on food or prescription drugs, are fairly easy to justify and shouldn’t be subject to extensive review. But those aimed at creating jobs, ranging from the Business Equipment Tax Reimbursement program to tax credits that provide tax breaks to as few as five taxpayers, should be targeted for regular, comprehensive legislative reviews, the panel recommended. Their report followed an analysis by the Legislature’s Office of Program Evaluation and Government Accountability that found weak oversight of business incentive programs. In 2006, OPEGA reviewed 46 state economic development programs, ranging from tax exemptions on fuel and electricity used at manufacturing facilities to agricultural grants. OPEGA found that a quarter of the programs had no clearly stated public purpose, a quarter did not have specific objectives and a third did not report their performance regularly. This lack of accountability is unacceptable. A bill to evaluate the state’s tax expenditures is currently pending in the Legislature. The governor should get behind it. NOTE: The second paragraph of this editorial was corrected to clarify that not all the tax breaks go to businesses.